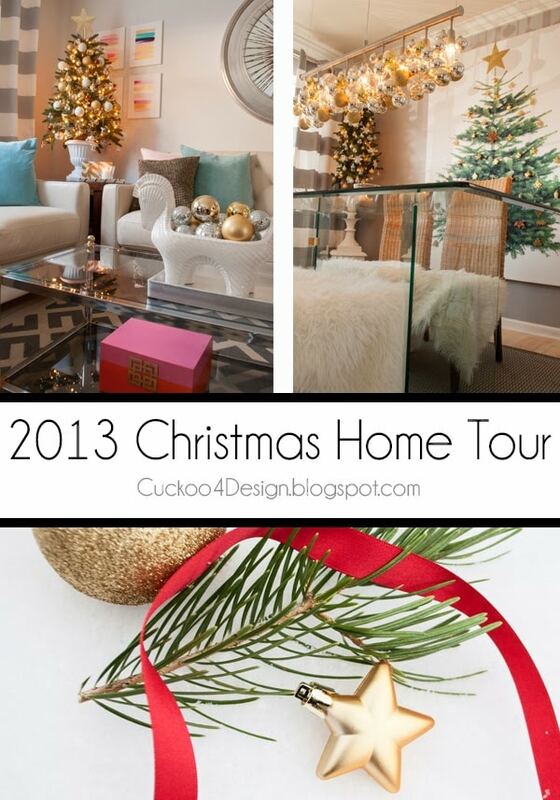 I’m so excited to share our Christmas Home Tour today. Welcome to our house. I won’t even write a lot and just show you the photos. I can get into some details next time. Some were taken in better lighting than others. 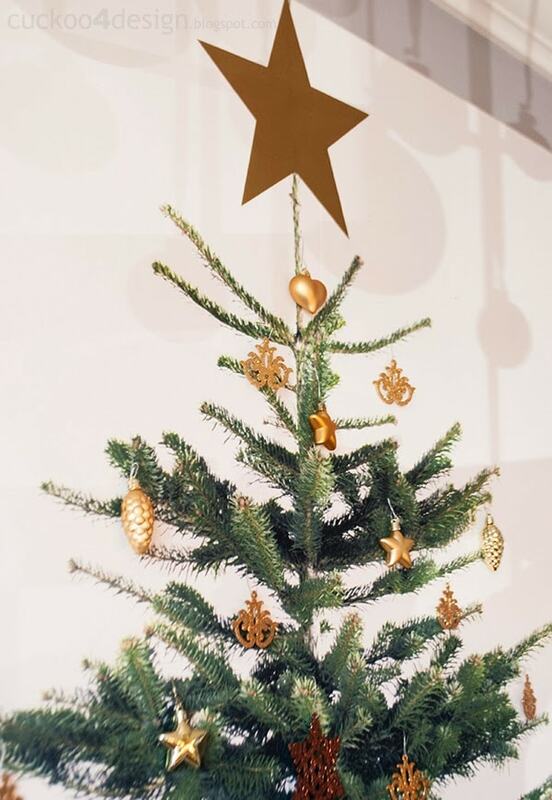 I made the Ikea Christmas tree canvas last year but added some gold to it this year. I still love it so much. 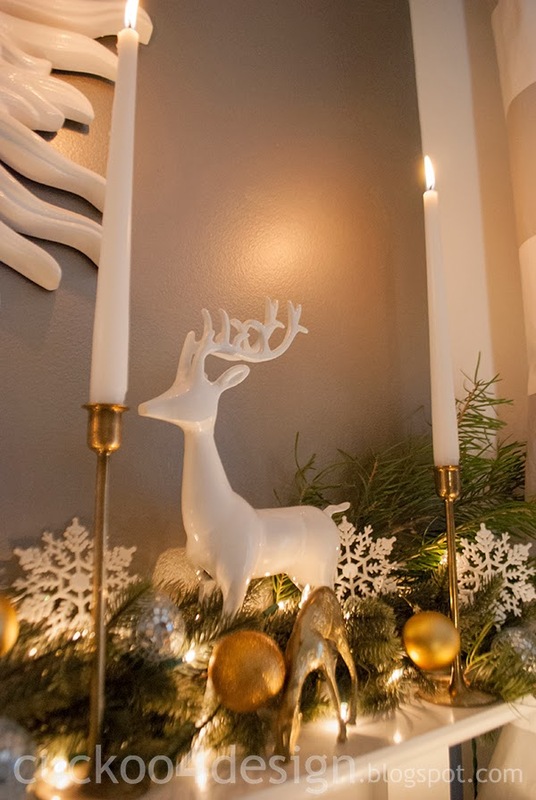 (click HERE so see instructions) The chandelier is similar to last years decor as well. 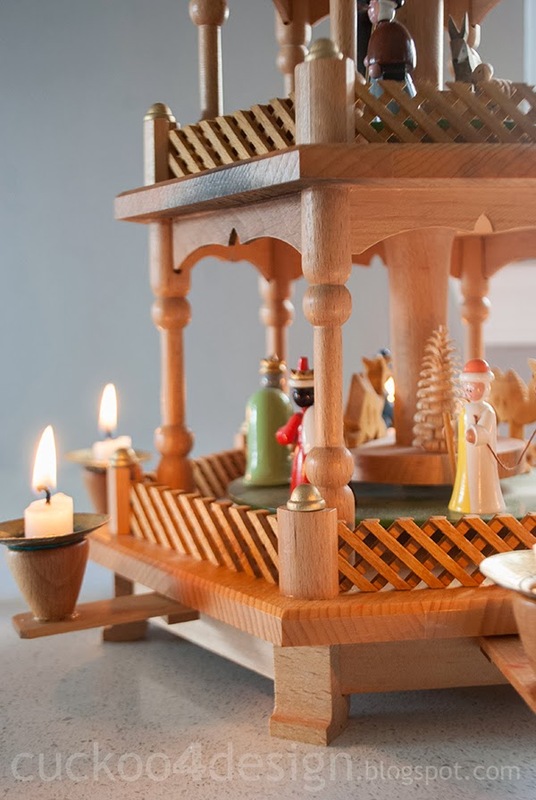 There are a few things in our house that will always stay throughout the years and that is our German Christmas items like this handmade authentic ($$$) candle pyramid. 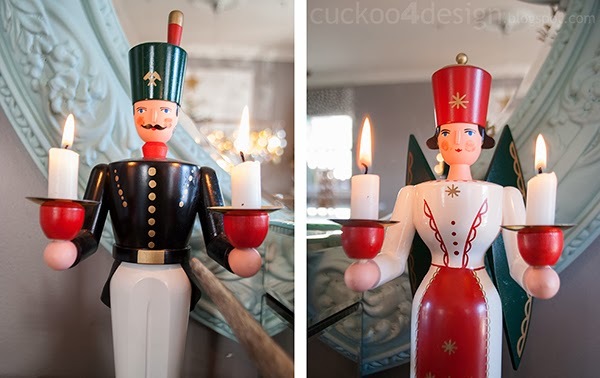 Our collection of smoke men and the angel and her matching soldier. You can buy an identical German Christmas pyramid HERE. This is my dishtowel canvas that I made. 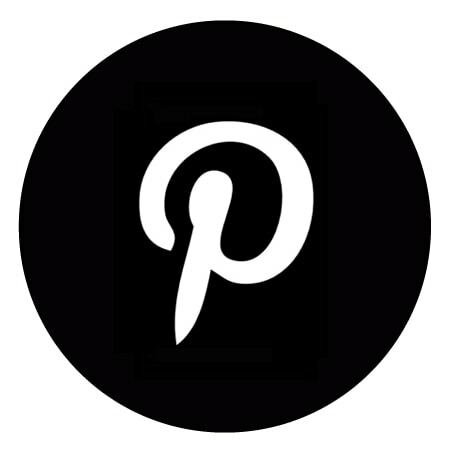 Click HERE to see the details. 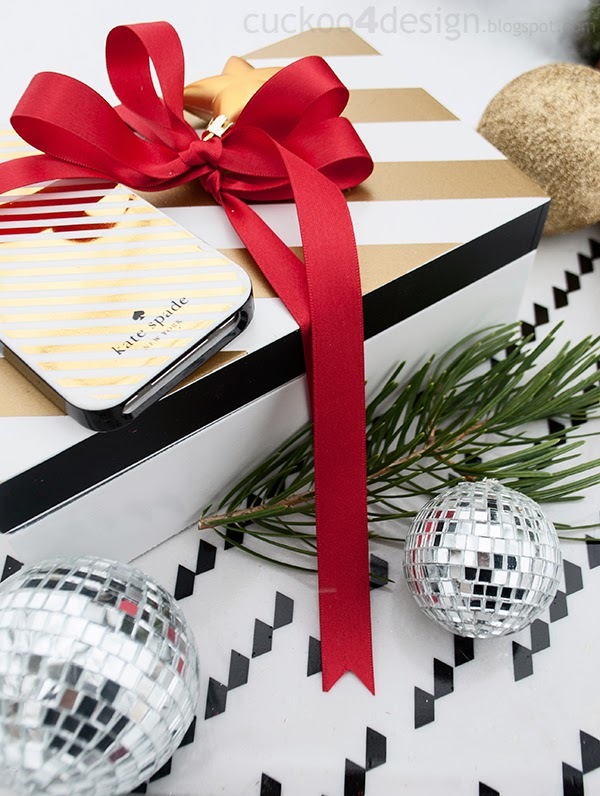 This is yesterday’s Kate Spade inspired box makeover made with vinyl strips. Have a great weekend! Yes, you read right! I won’t post tomorrow 😉 on Friday. This is it instead. No biggy, right? I’m trying to get some Christmas shopping and wrapping done and I also have a neighborhood cookie exchange at my house on Saturday. I need to get some things prepared for that. 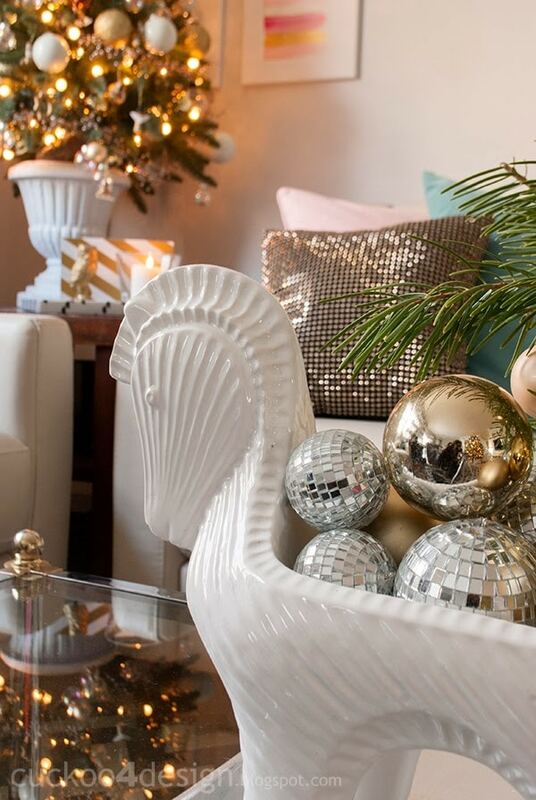 Love all the gold and glitter! 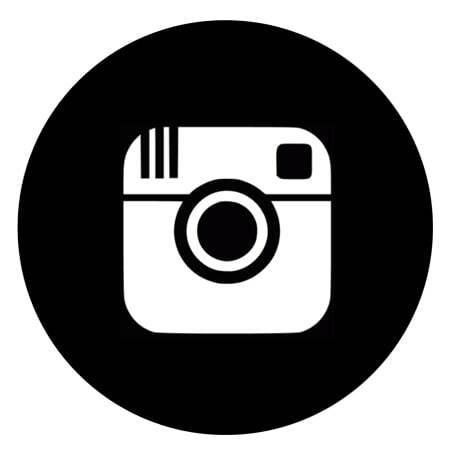 Your home looks beautiful and your pictures turned out great! That gold, glittered cuckoo clock is really neat. 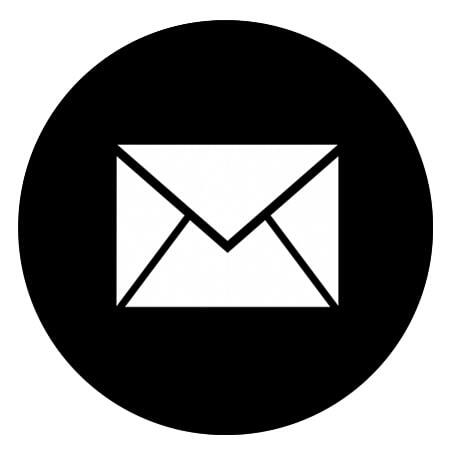 Your place is looking spectacular! It’s so cozy and inviting. I’m just a tiny lot bit obsessed with your Christmas tree canvas. A lot bit. Amazing job, Julia! 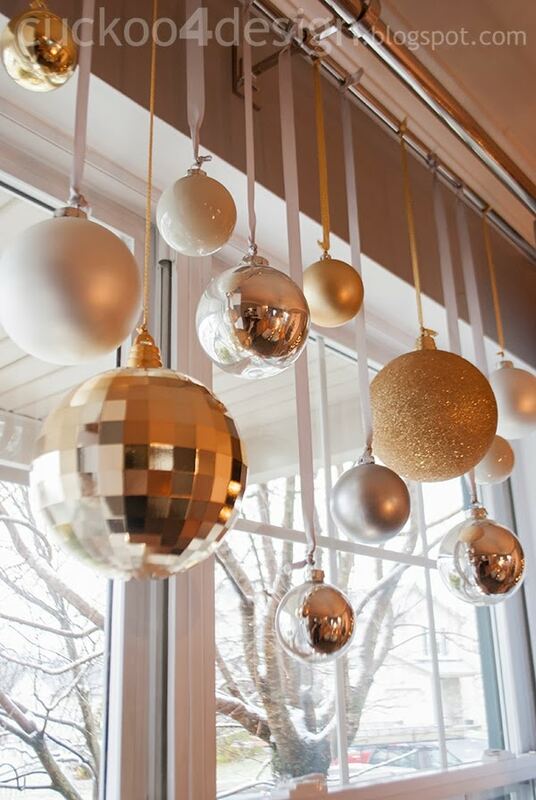 I LOVE, LOVE, LOVE all of your metallic Christmas balls everywhere. So pretty!!! 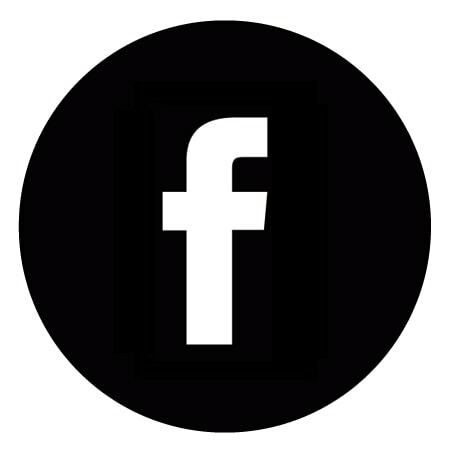 Thanks for joining us. Absolutely beautiful!!!! One of my favorite Christmas tours this season!!! Looks beautiful Julia! Love the canvas! Your trees are gorgeous too! 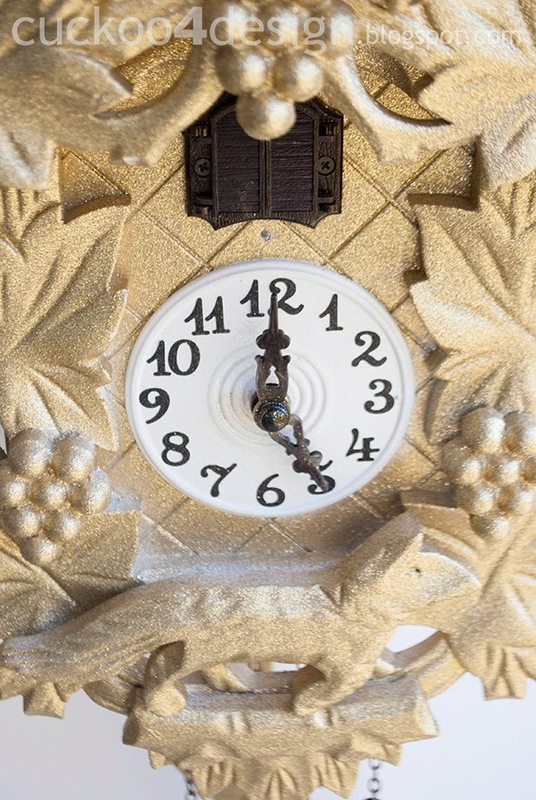 I’m cuckoo for your clock collection – especially the blinged out one! 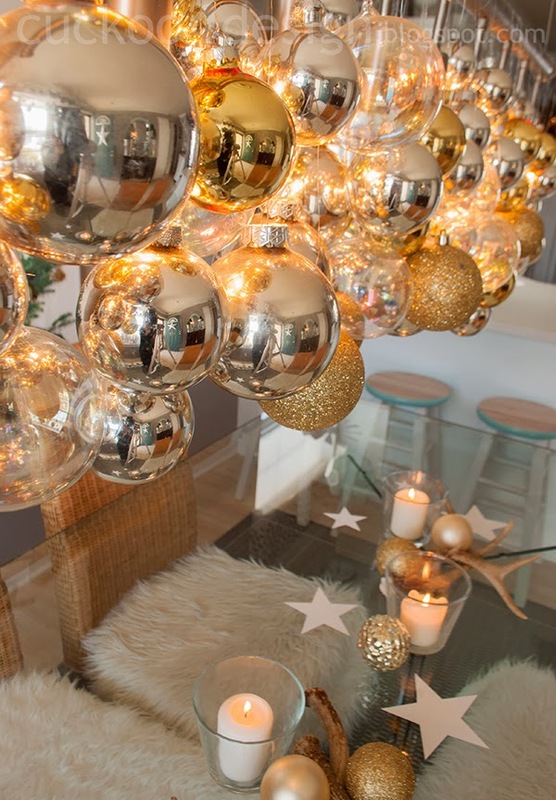 Love your disco balls and Ikea tree – a perfectly festive and fun home! Very beautiful! 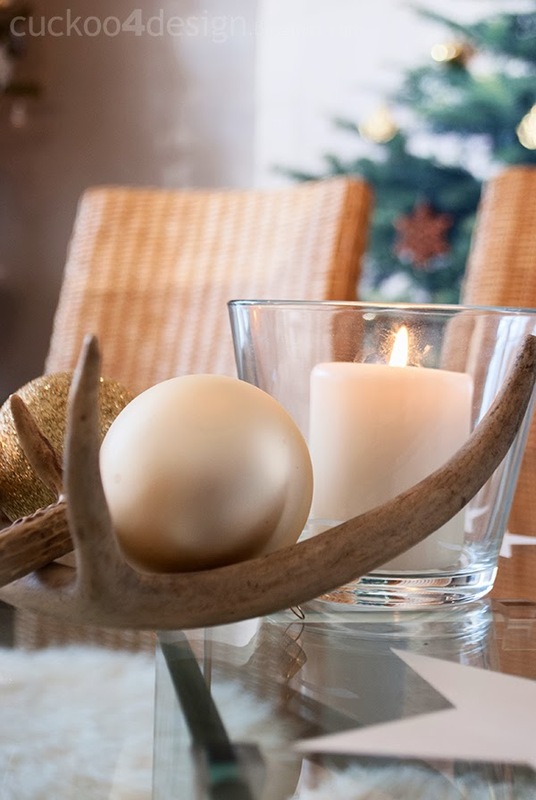 I love following your blog to see those German décor touches, and was really looking forward to seeing your pyramid (every good German family has one!). 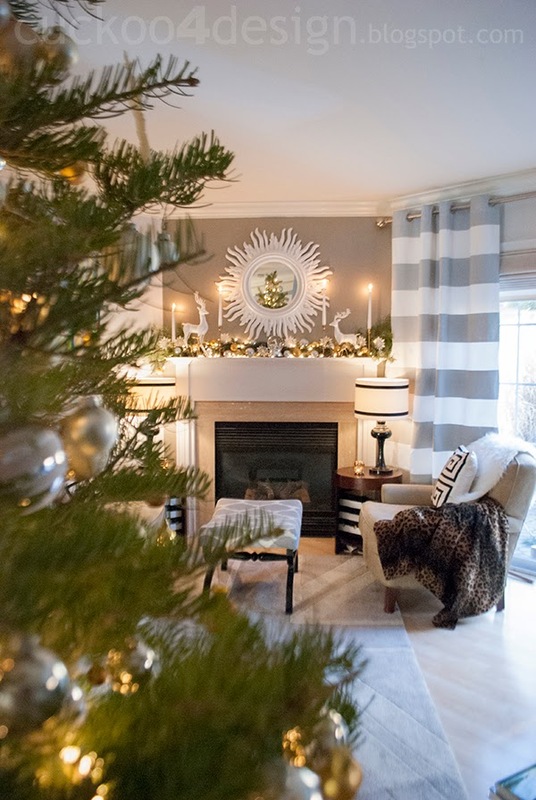 Your whole living space looks really warm and inviting, full of that down-to-earth European aesthetic with lots of trees and wood! 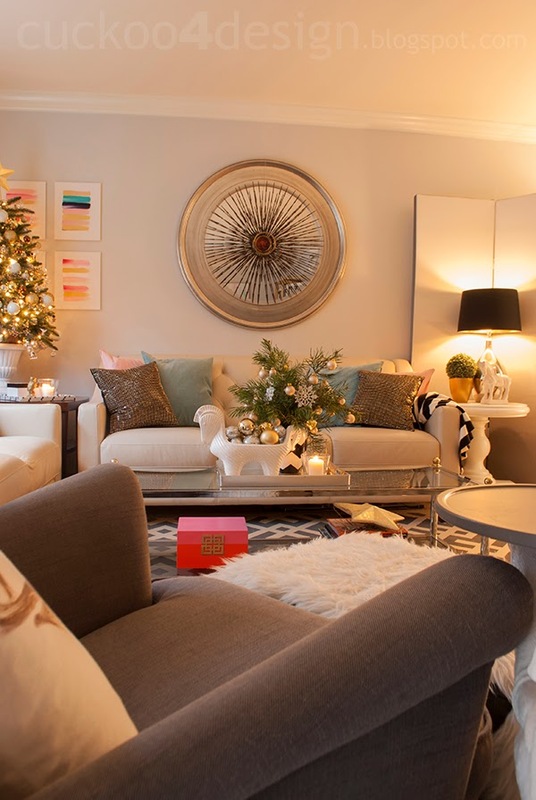 Julia, it is so inviting and just the right amount of festiveness! 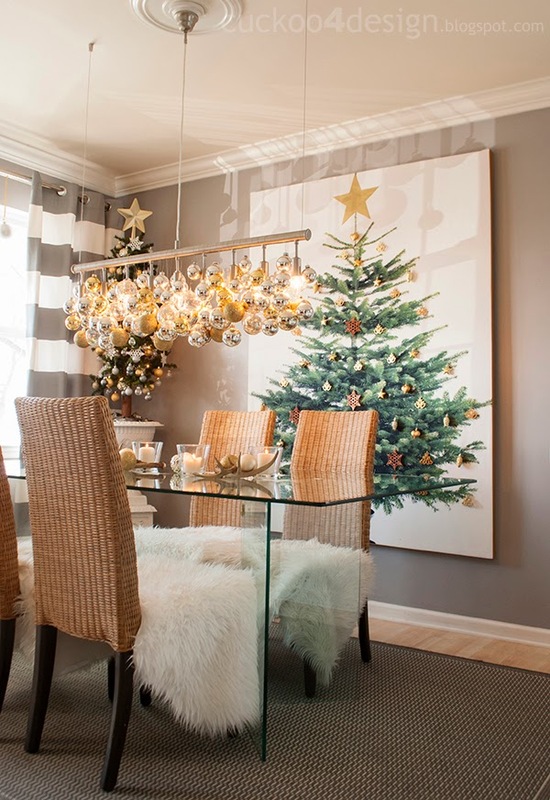 Love the tree on the wall in the dining room and your gorgeous light fixture!! WOW julia, you killed it! it is AMAZING! 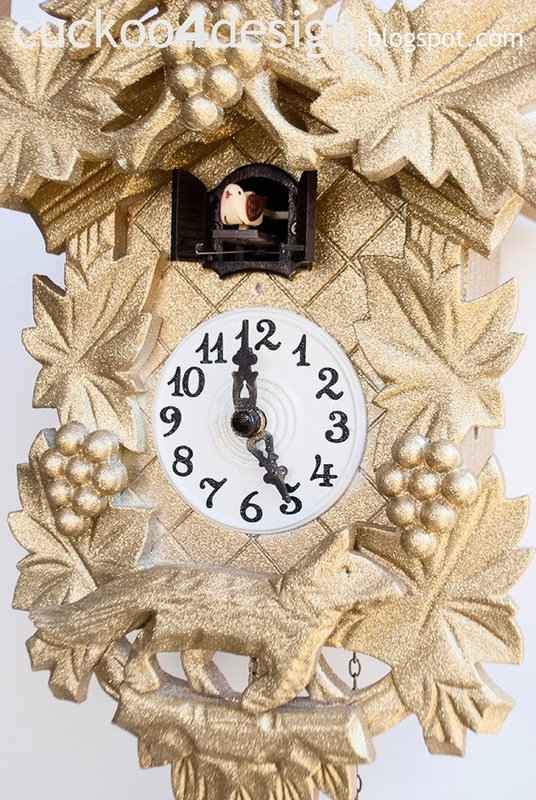 love the gold cuckoo clocks! 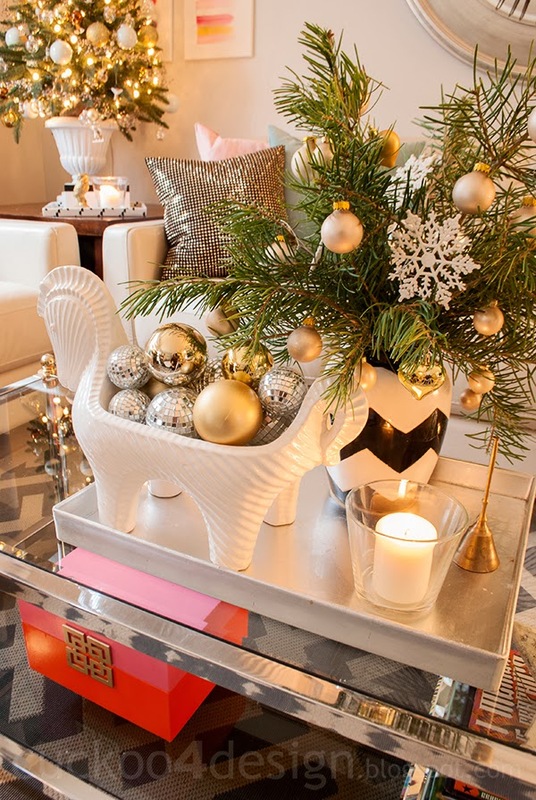 love the horse filled with ornaments…. oh my gosh what else? too much to remember i love it all! 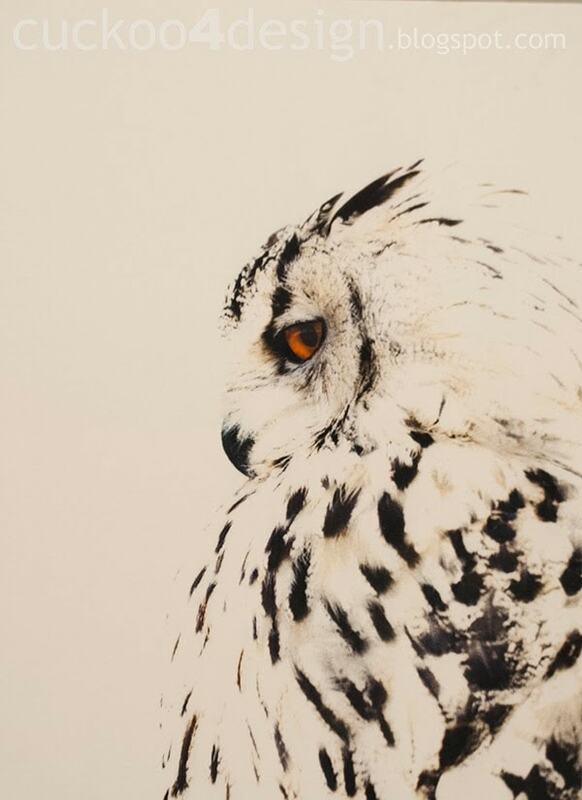 Julia it is Wonderland, Magical and absolutely FABULOUS…..I am in AWE!!!! Ridiculously awesome and pretty! You can just pack up that entire coffee table and all its decorations and ship it up here to me in Massachusetts any time you want. 😉 P.S. 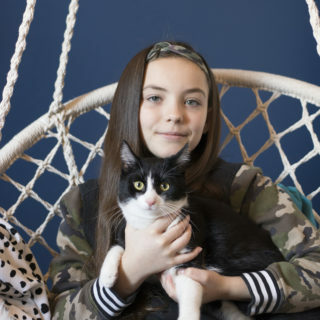 your cat has the most amazing markings…too cute! Just beautiful! 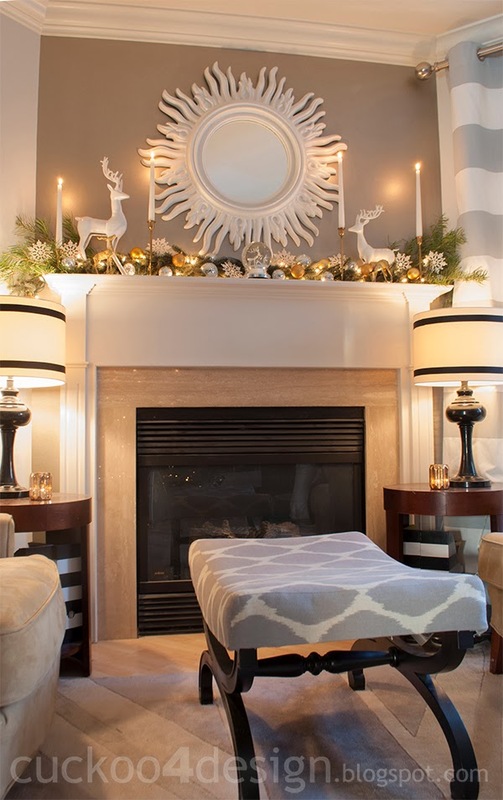 I love, love, love the light fixture with all the silver and gold ornaments! Julia…I’m dying over your dining room chandelier…it.is.beautiful. So many gorgeous details…amazing job!!! 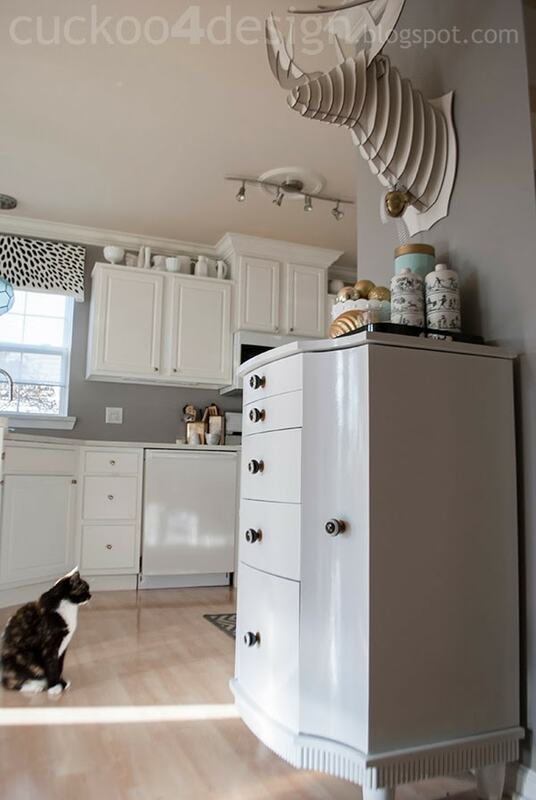 Your home is literally stunning! Stun.ning. Oh Julia, I get lost in your photos every time I see your gorgeous house! 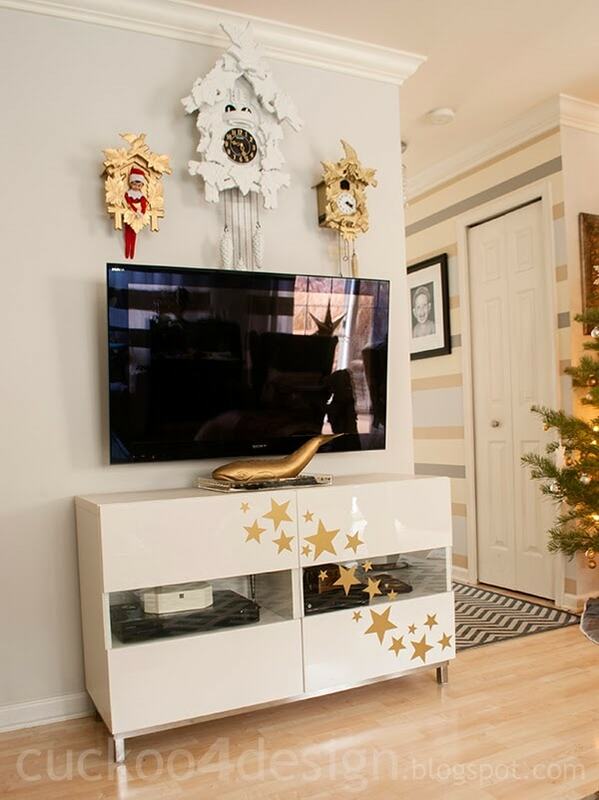 And a gold glitter cuckoo clock…what could be better?!? I must get a few of those WE plates, they are so fun! And I agree, your chandy knocks everything out of the park. Fabulous tour my friend! Julia!!! 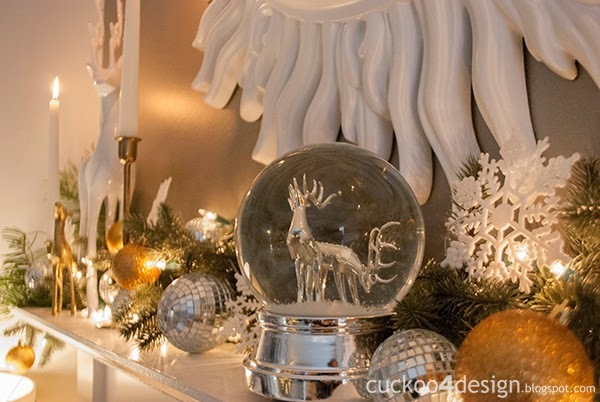 That ornament chandelier is amazing! 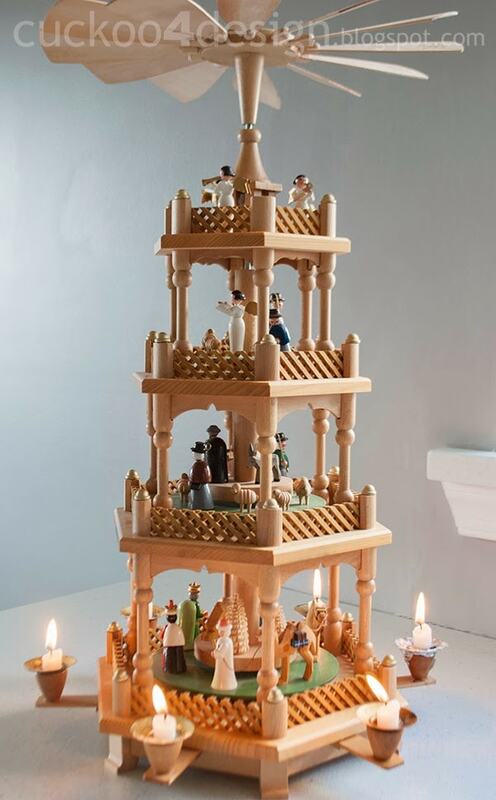 I always loved my parents nativity candle pyramid and last year we were able to score one off of an online auction. One part needs to be fixed still so hopefully we can get it up and running by ext year! 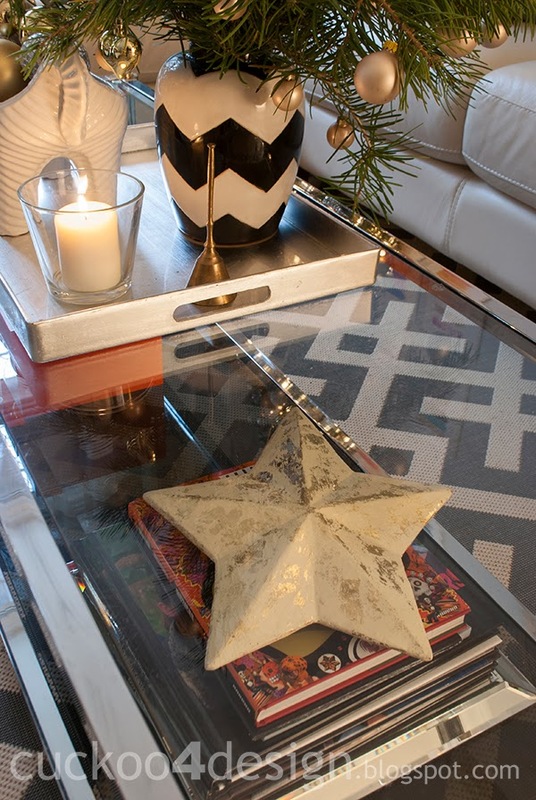 I LOVE the horse on the coffee table filled with ornaments! Your home is so so lovely! One of my fave houses on the tour!!! Question for ya. 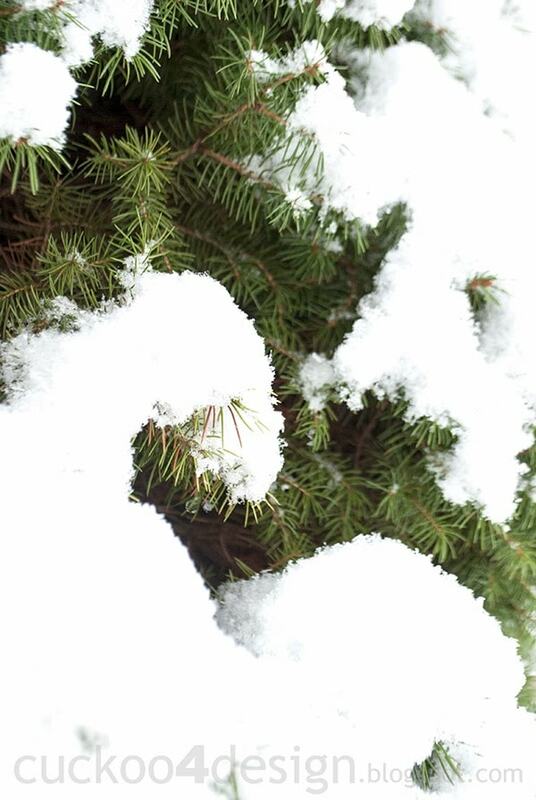 The close-up of the snow on the tree — is that fake snow? If so, what kind is it? It look so real!! WOW. Everything looks perfect. I want to come to your house for a real life tour. Beautiful! 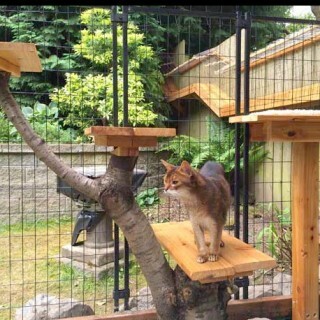 Your home looks gorgeous!! 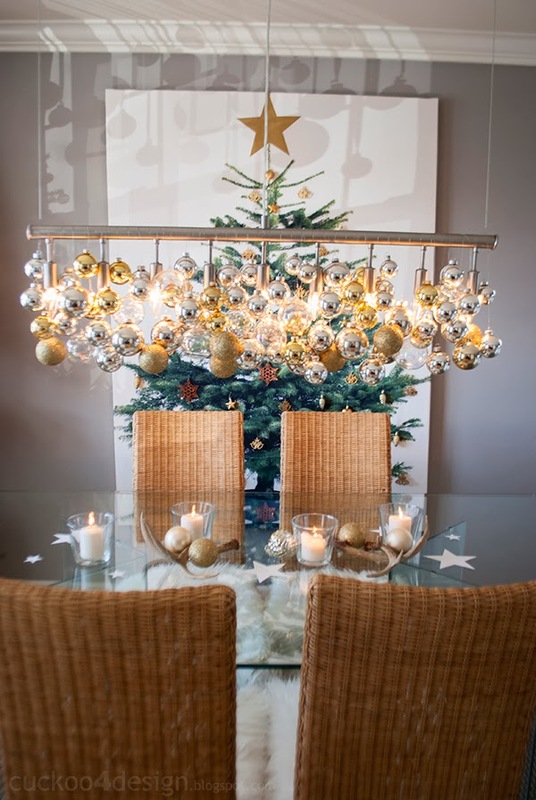 Loving all of those ornaments on your chandelier! So pretty. PERFECT as I expected it would be! 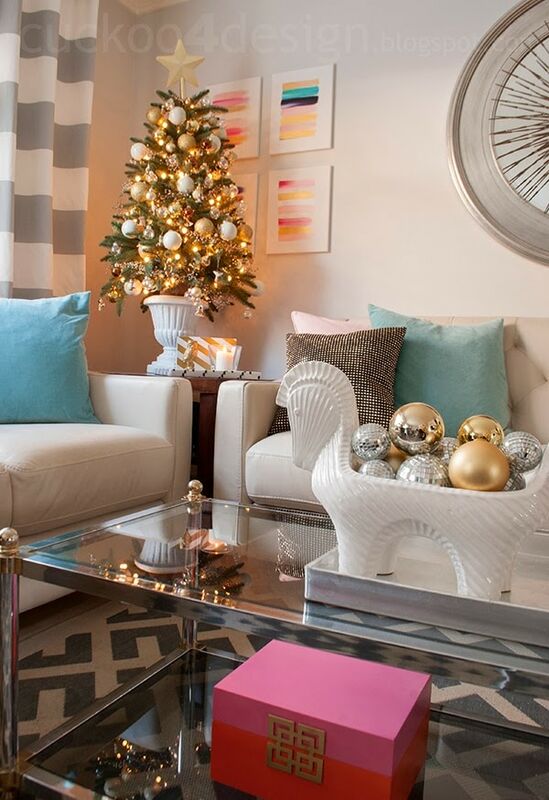 Love the light fixture, your beautiful tree, mantel and the coffee table decor! 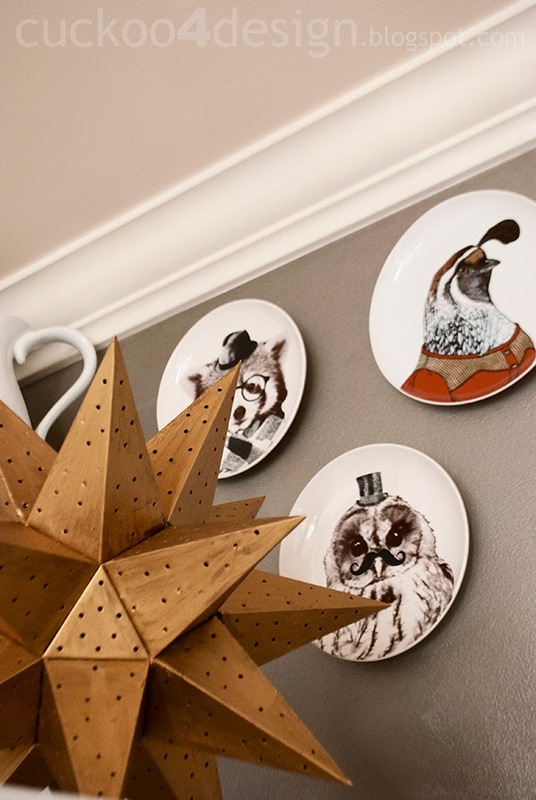 I always love your plates too, I used your plate design in my kitchen! Amazing tour Julia! Julia everything is so artfully arranged and completely beautiful! The chandelier blew me away though! 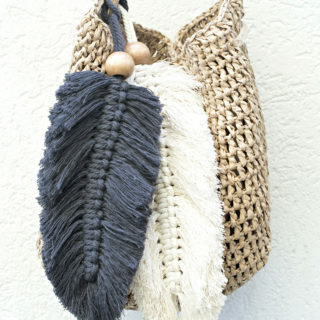 Totally in love with that! Wow! Your pictures gave me goosebumps! 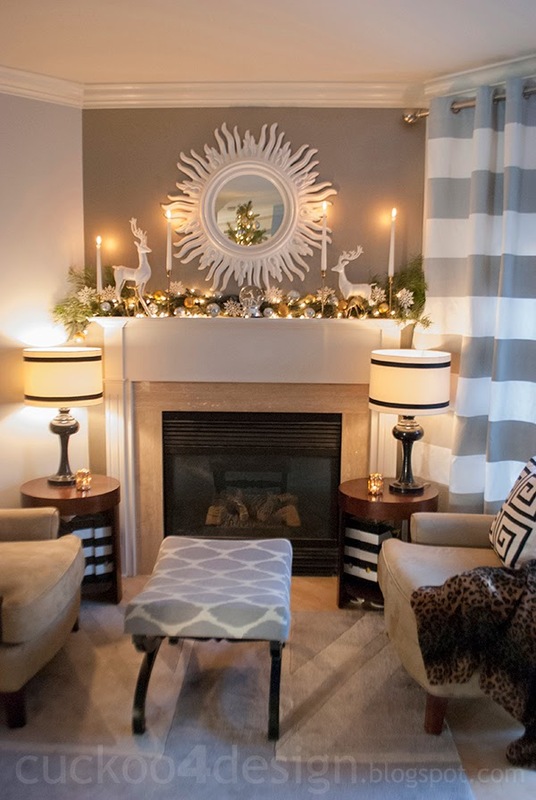 Came over from what’s ur home story and now I am inspired to take the holiday decorating up a notch at my home. 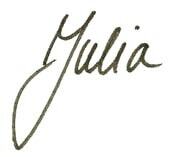 So many elements that feel personal and I would love to have, Julia! Wow! You knocked it out of the park. Can I move in for Christmas? I am in love love love with your dining room. 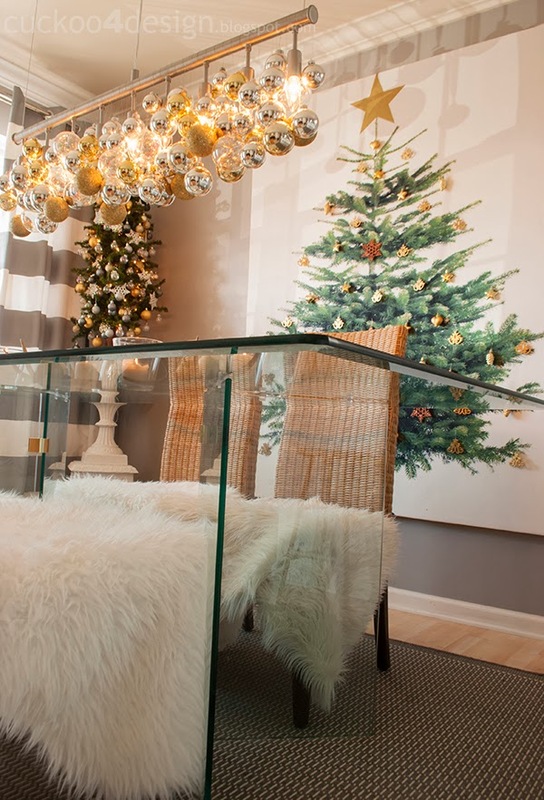 The chandelier and the tree art…gorgeous! Amazing job, Julia! Your home is so gorgeous! 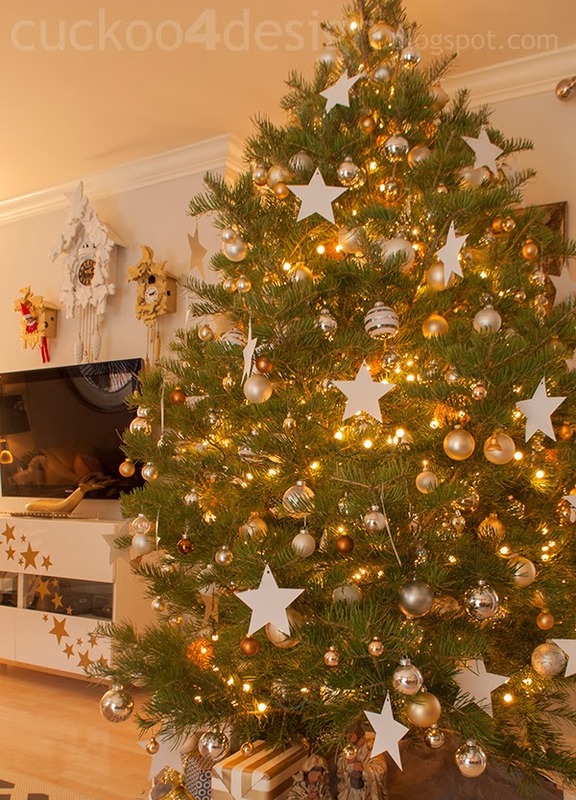 I love your collection of cuckoo clocks and those giant white stars on your tree. 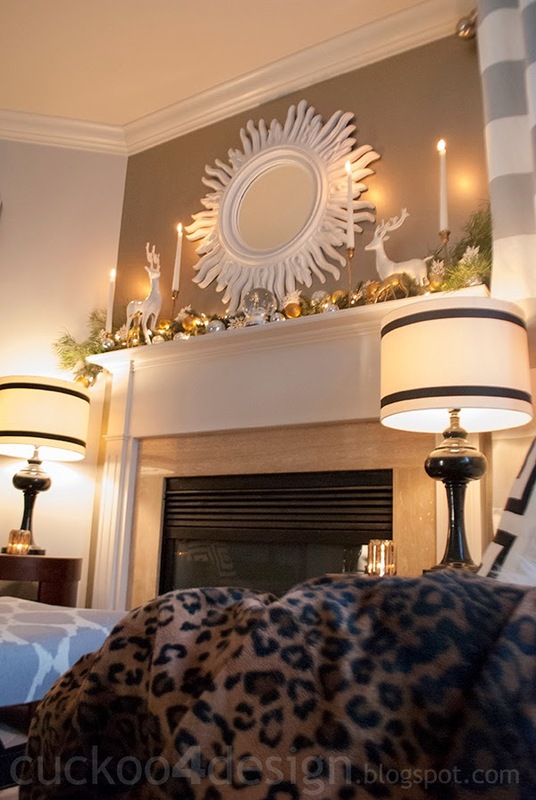 I seriously love what you did with your chandelier! This is gorgeous. So much glamour. 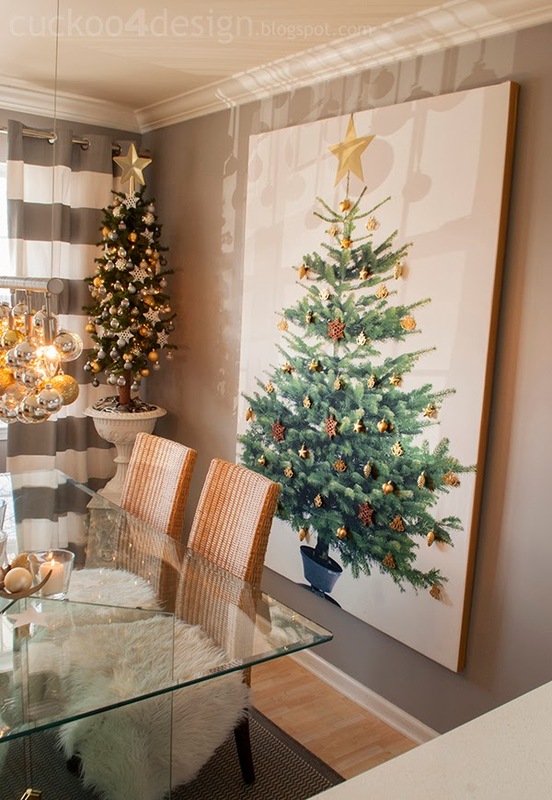 I think your dining room is my favorite – that tree canvas is just too cool. Can’t get over it. So beautiful Julia! 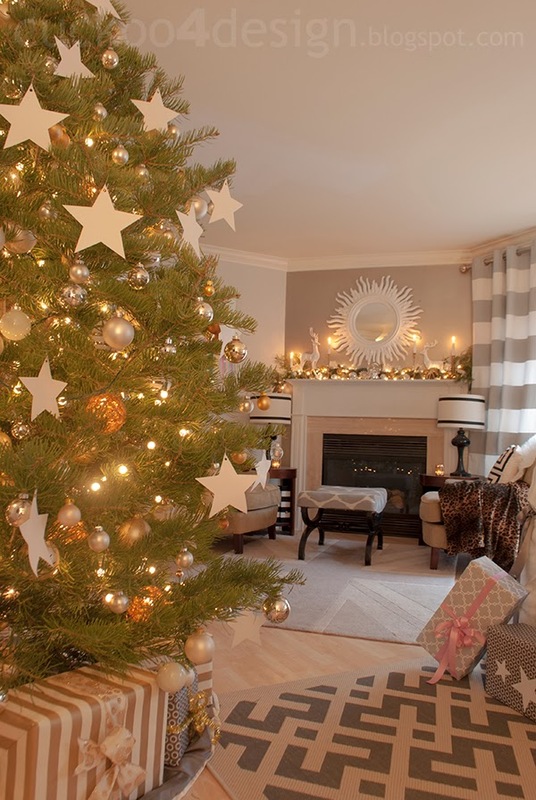 Love all the gold decorations. Your home is beautiful! 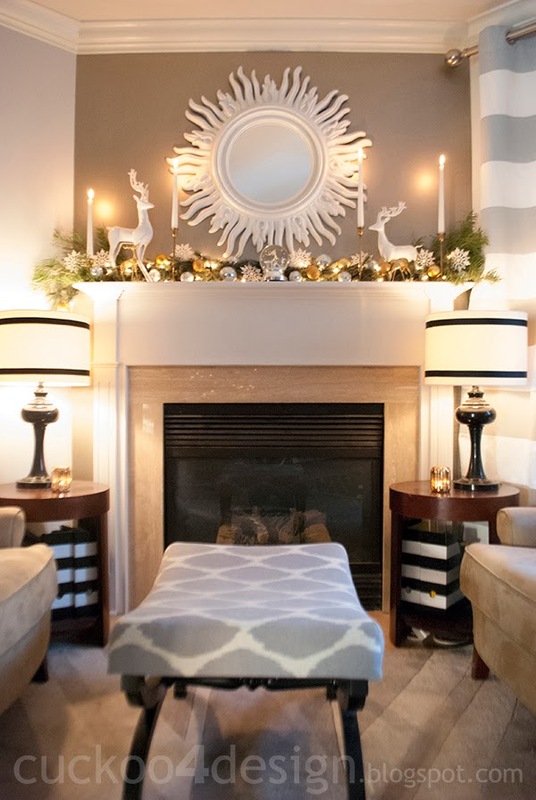 I especially love the Christmas canvas and the candle pyramid! 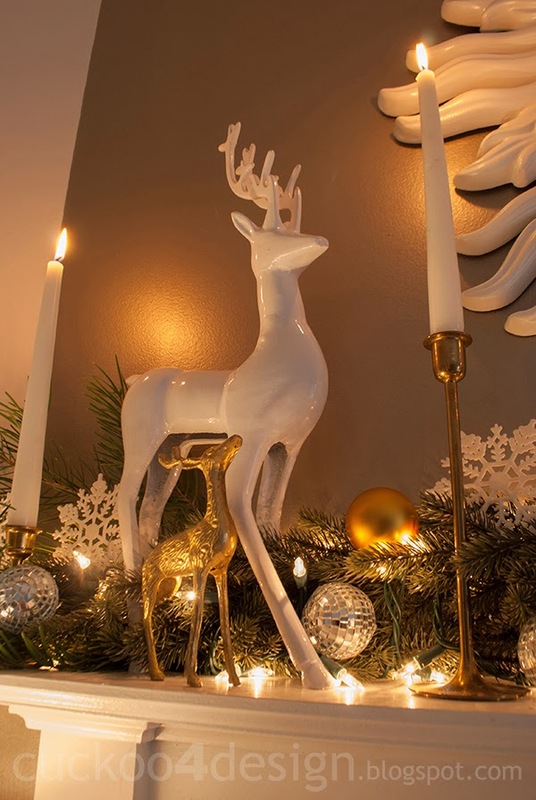 I am so in love with your home…and your holiday decorating skills!!! 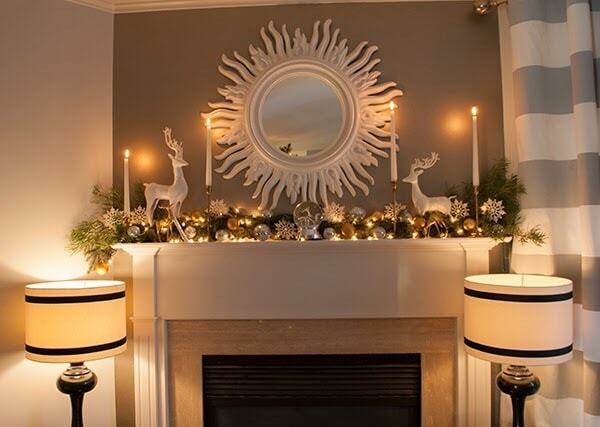 And seriously, you put my chandy to shame…I’m embarrassed to post it tomorrow. Eeeeek! Well done, Julia! Oh Julia, I love your Christmas Home!! Oh my goodness Julia, I don’t know where to begin. Everything is just gorgeous. I love your attention to detail. Your plate wall is so fun. Your dining room is stunning. I love it all. 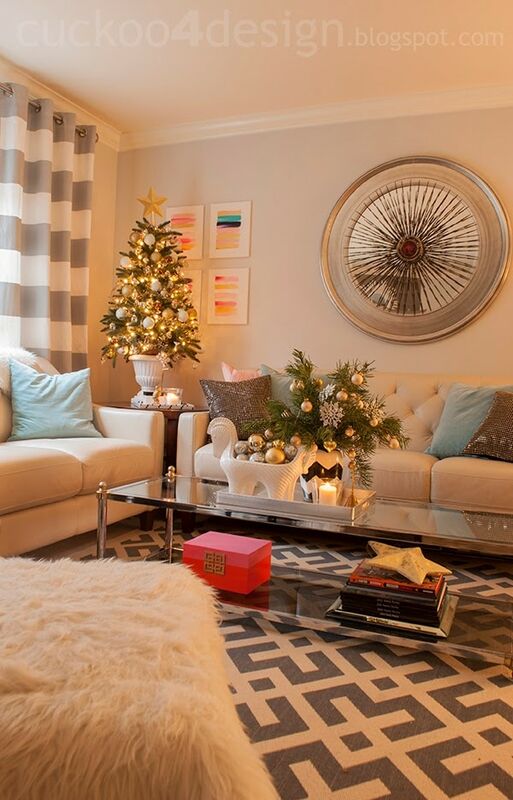 Julia, your home is always stunning and all decked for Christmas is no exception! Lovely. 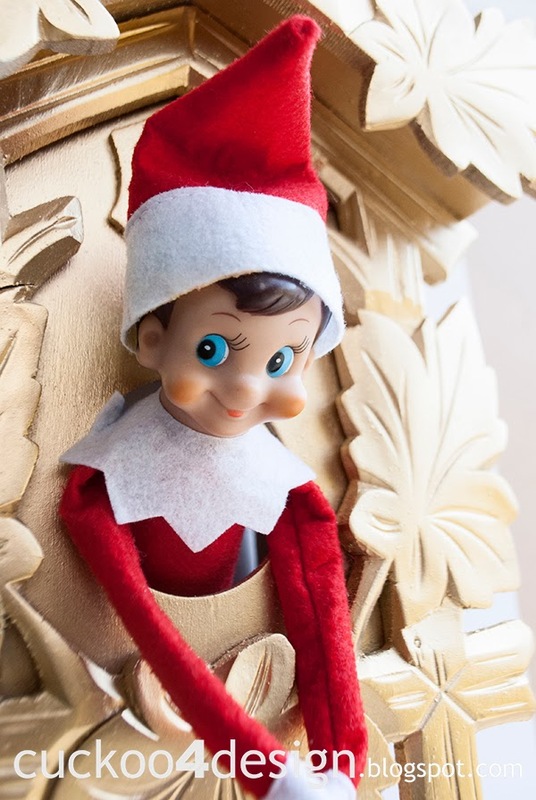 My kids loved seeing your elf in the cuckoo clock! Those elves are so creative! Julia – your home is stunning! I am in love with your chandelier over the table. And all of the touches are fabulous. 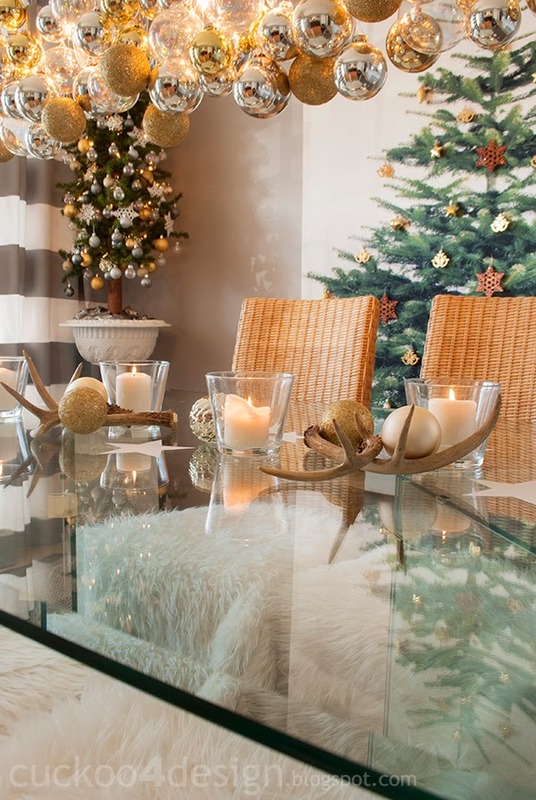 The decorated tree branches on your coffee table – amazing. Thanks for letting me stop by! Well everything is absolutely stunning as usual!!! 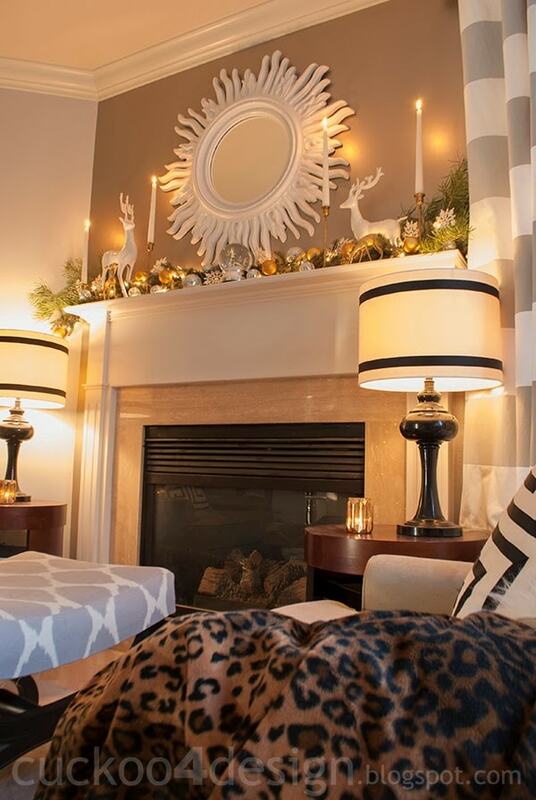 I love how you added the ornaments to your chandelier. 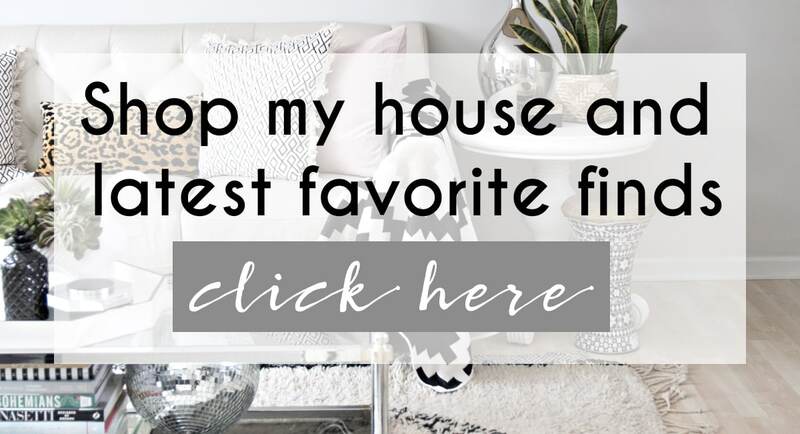 Your home looks so super cozy! 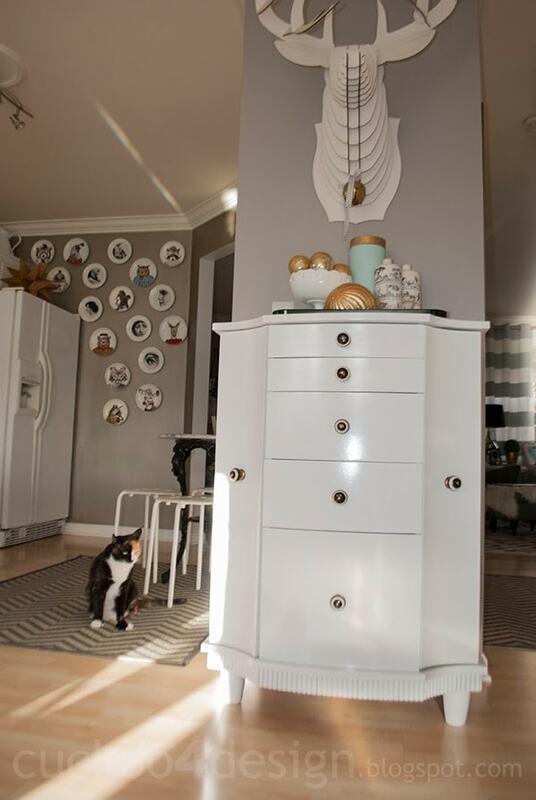 I LOVE every bit of this home tour. 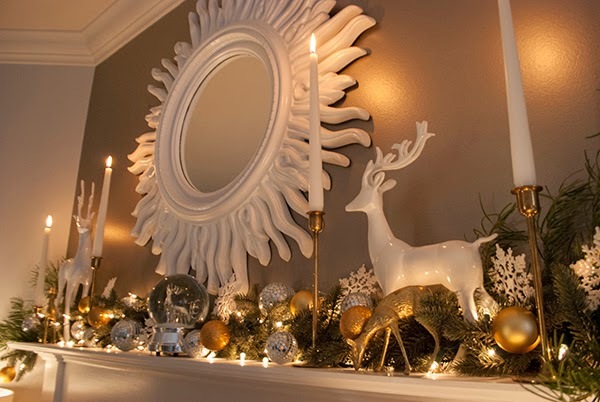 The home is beautiful and so gorgeous with all the Christmas decor! So great, and so “you!” I JUST saw one of those candle pyramids last weekend and thought it was so cool. Love yours, and that is has special ties to your home country. The whole tour is fresh and modern and glam. So great!! WOW! I don’t think I can gush enough to let you know how much I LOVE LOVE LOVE everything! Just stunning. 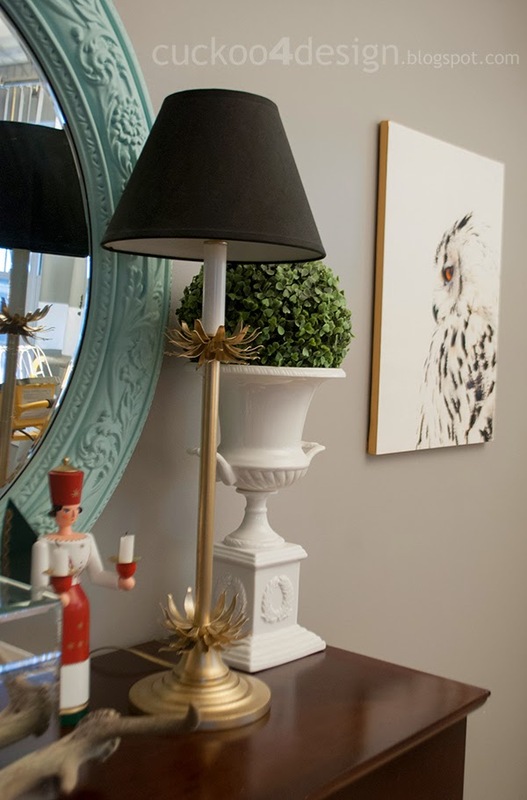 Especially that dining room chandy! GAH! 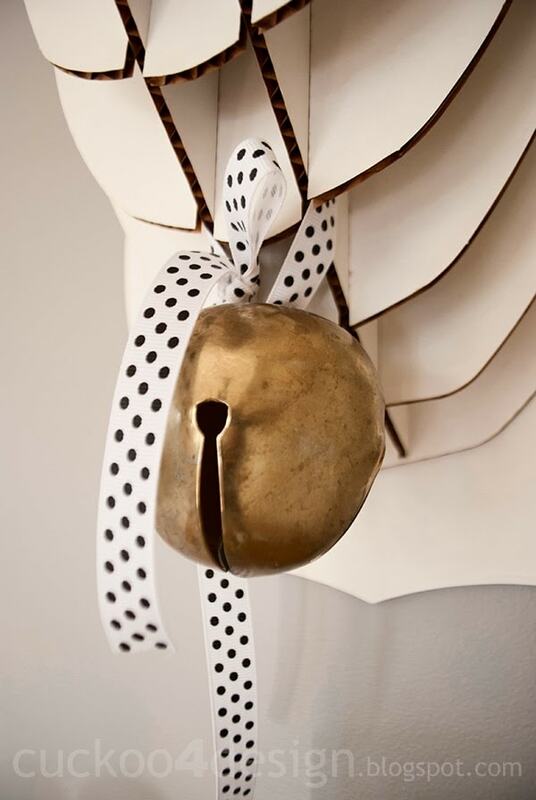 I love that you spray painted the cuckoo clock in gold; very pretty! Such an amazing job on your home! 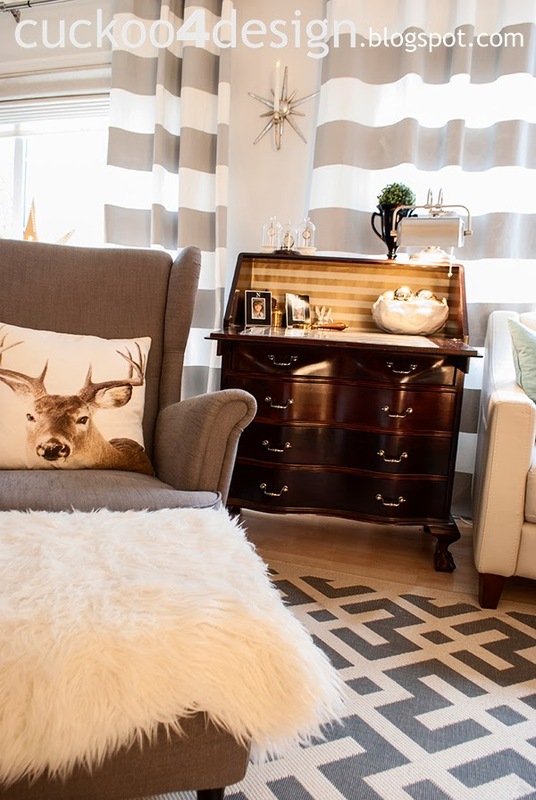 It looks sophisticated yet cozy and inviting. I can’t even decide what I like the best!! Thank you for this home tour. You have beautiful house. It’s feel like I’m visiting your house right now. First time visitng you and I just LOVE all the GLAMOR! Totally digging your style. I’ll be back! JULIA! You nailed it. 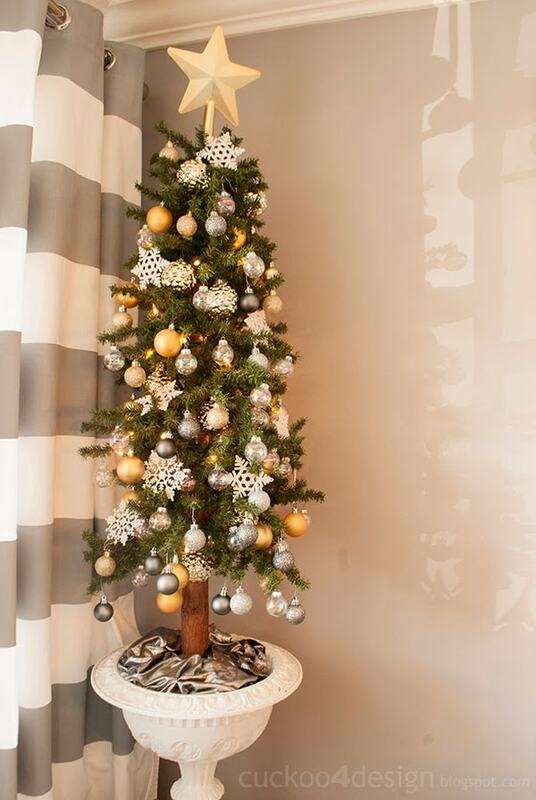 So proud of you, make my two tiny tinsel trees look like a joke! This should be in a a magazine, no joke! Ahhh! So in love with the silver and gold decor!!! Your house looks fabulous! Love all the sparkle!! awesome decorations, Its nice to see.Really beautiful house. 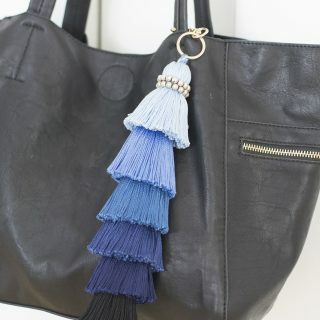 So classy and so fun all at the same time! Merry Christmas! 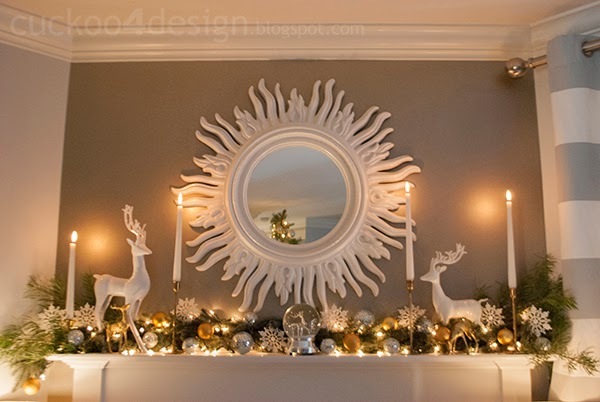 Definitely stealing some ideas for Christmas and I esp love the warm light. 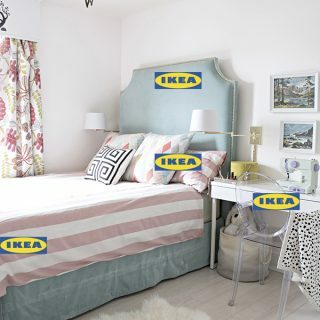 The Claudia sofas that you have- what color are those? 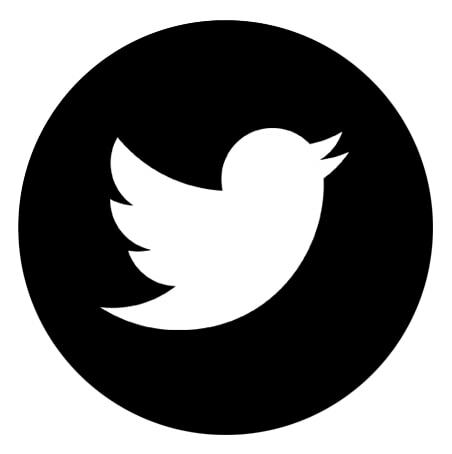 Online I see dove gray and slate gray, but yours look much whiter. Thanks so much! I think my color was called ivory. Didn’t even realize that they don’t have that option anymore. 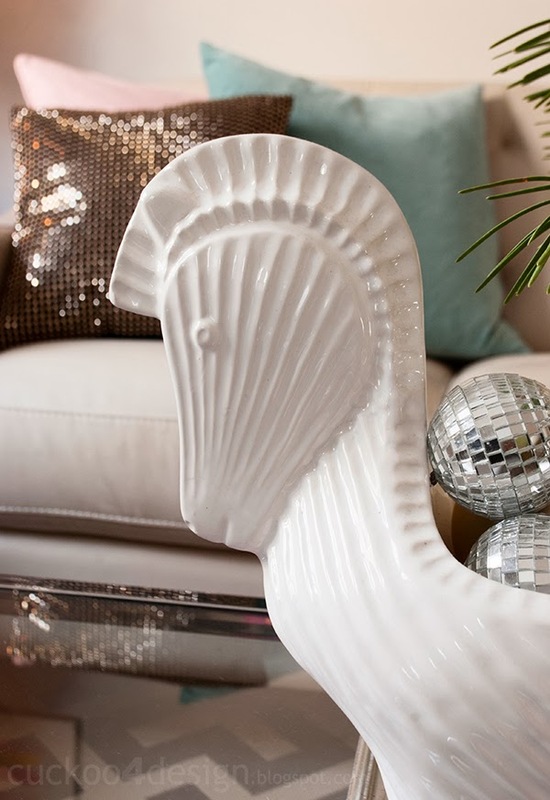 I love your home and your decorations! 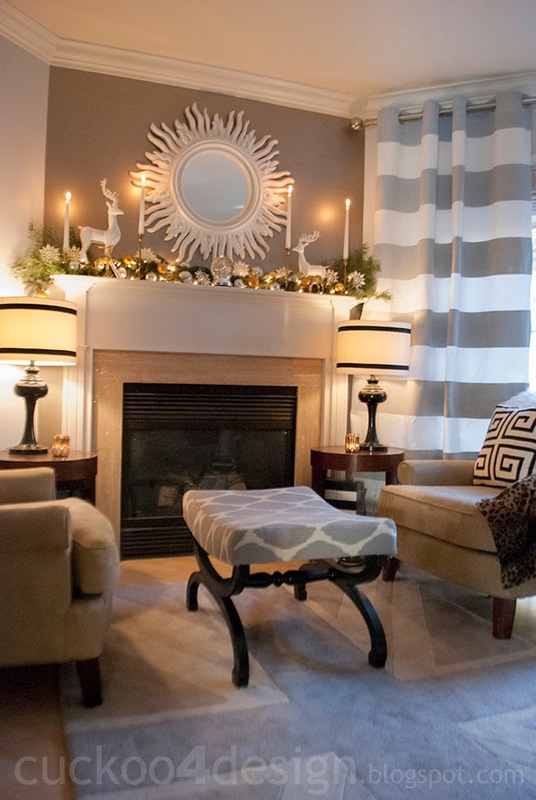 Would you mind sharing where you bought your gray and white striped curtains in the dining room and living room? I love them! 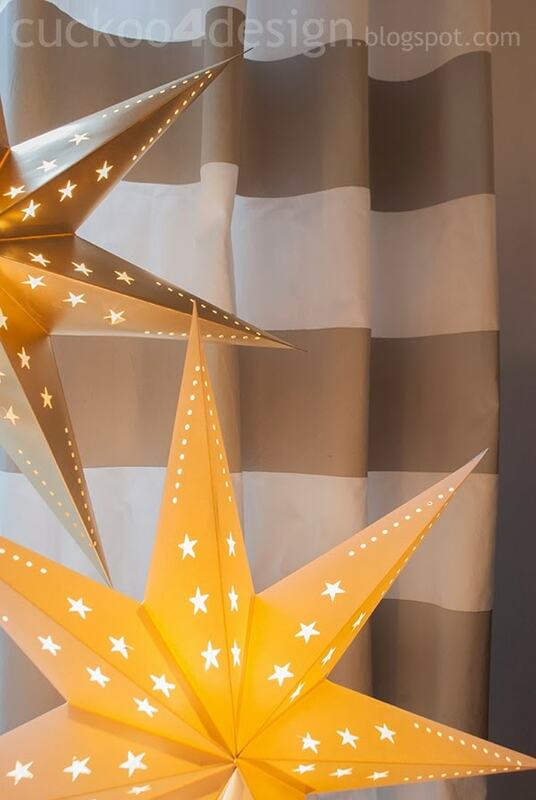 But they do sell similar ones at Crate and Barrel and different colored ones at Pottery Barn kids. You did a great job! Thanks so much! 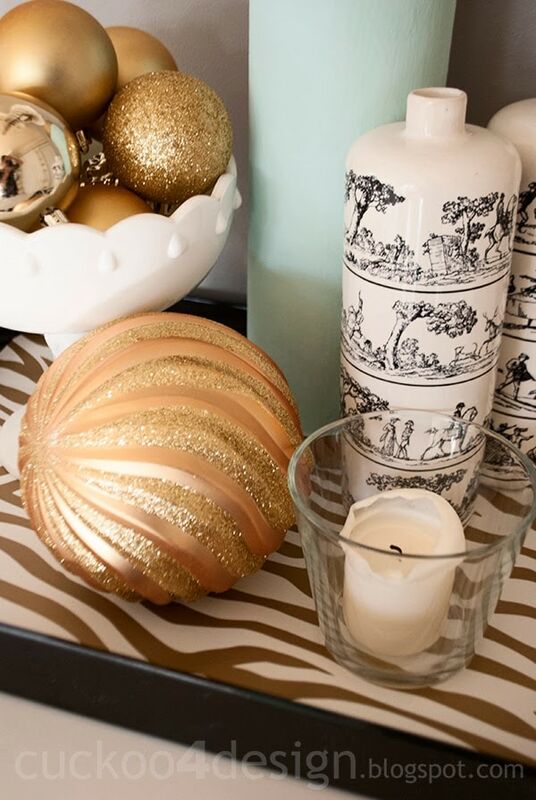 Julia — I LOVE your glam take on Christmas decor — beautiful!! I am LOVING the boy and girl toy soldiers! Did I miss where they are from? German heirlooms? …or buyable? OMG, what a beautiful home you have Julia. 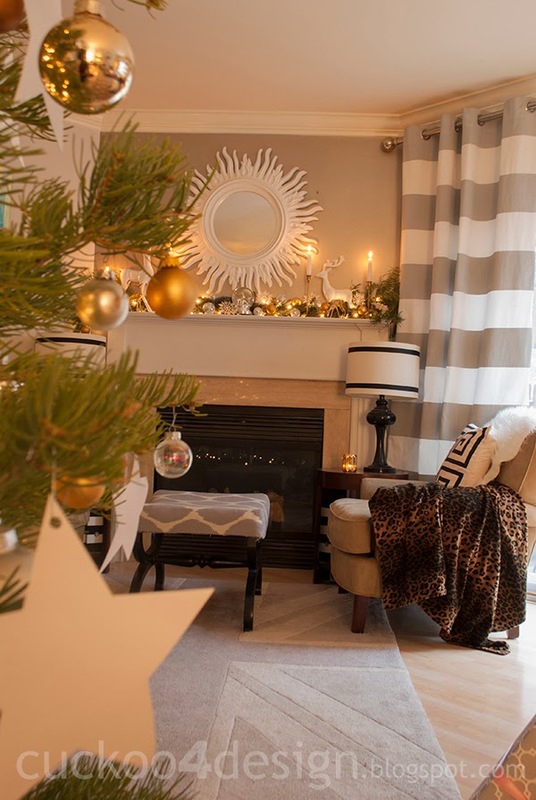 I adored your home since I first saw it, when YoungHouseLove shared it on their website. OMG thanks, it’s so long ago the YHL feature and so much has changed. I sometimes cringe when I look at the old photos.